Saw this on my walk to the school bus this morning. I wonder who lives inside. I bet it's cozy inside! 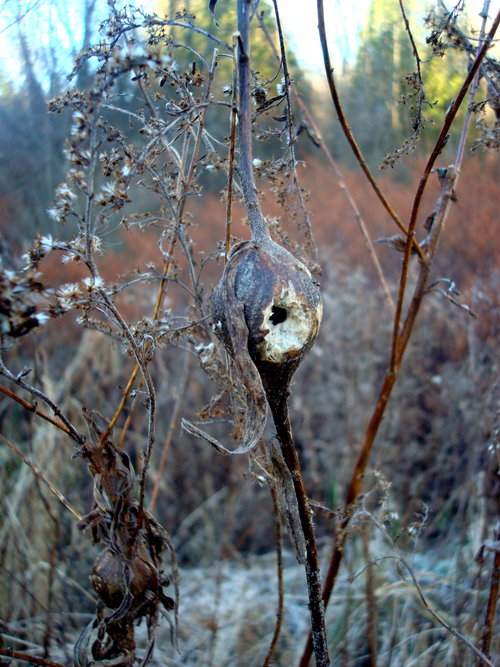 Cool gall that would make a perfect home!